Our organization is rendering PU Sports Flooring. This service is completed at low prices. This service is handled by professionals who have affluent industry practice and skill. Additionally, this service is widely admired in the market for their timely completion. 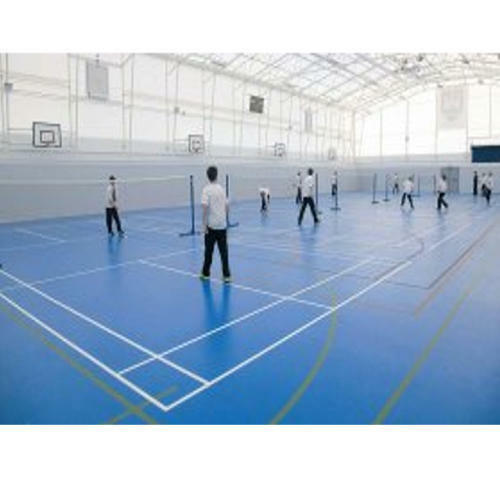 Established in the year of 2015, Gallant Sports & Infra Private Limited is the leading Wholesaler, Trader and Importer of PU Sports Surfaces, Artificial Playing Grass and much more. These products are extremely identified for their top features such as longer life, excellent quality, low maintenance and easy to use. Moreover, due to our strong records, easy mode of payment, prompt delivery and obvious business dealings, we have been competent to gain the maximum approval of the clientele.